MELROSE Queen Bedroom Suite. King Bed also available. 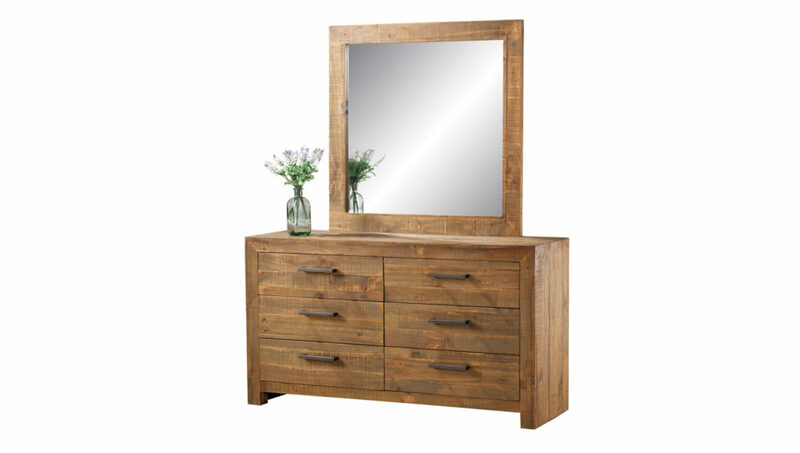 6 Drawer Dresser with Mirror available to go with the Suite. 5 drawer Tallboy and 3 Drawer Bedside Table all in Recycled Walnut finish.